Join the Minister of Environment and Climate Change, Glen Murray on Friday, April 24th at 5:30 pm for the 5th Annual Ontario Organic Awards. Taking place at the beautiful Waterloo Inn, (475 King Street North, Waterloo). 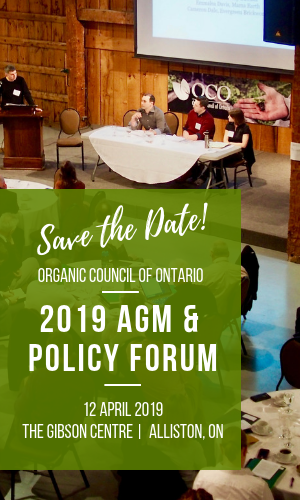 The awards will celebrate the passion and dedication of Ontario farmers, businesses and individuals who are growing Ontario organic agriculture and food with 7 awards, one of which will be presented to Tomas Nimmo, the longstanding manager of the Guelph Organic Conference.